Missing or broken teeth cause a range of problems including pain, difficulty eating and loss of confidence due to poor appearance. We offer a range of options to help with this. 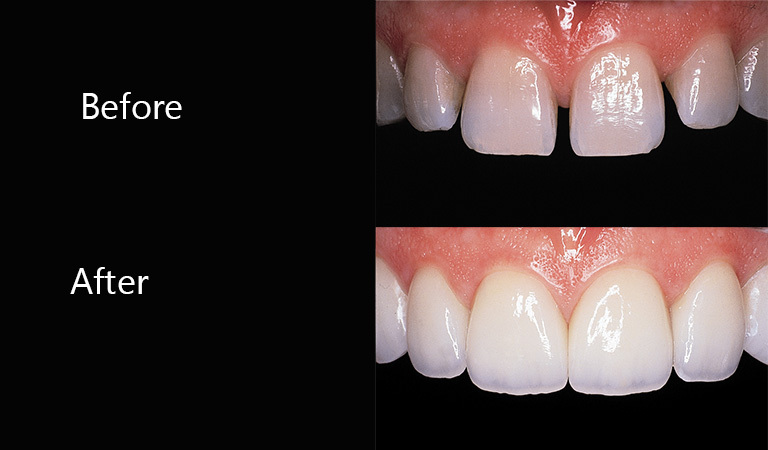 A crown is where a single tooth is strengthened by shaping the remaining natural tooth to allow a custom made, laboratory manufactured ‘cap’ to fit directly onto the natural tooth underneath and completely encircle it to add strength and improve appearance. They are usually made of metal or porcelain but are made to suit individual requirements, and your dentist will discuss the most suitable options with you. 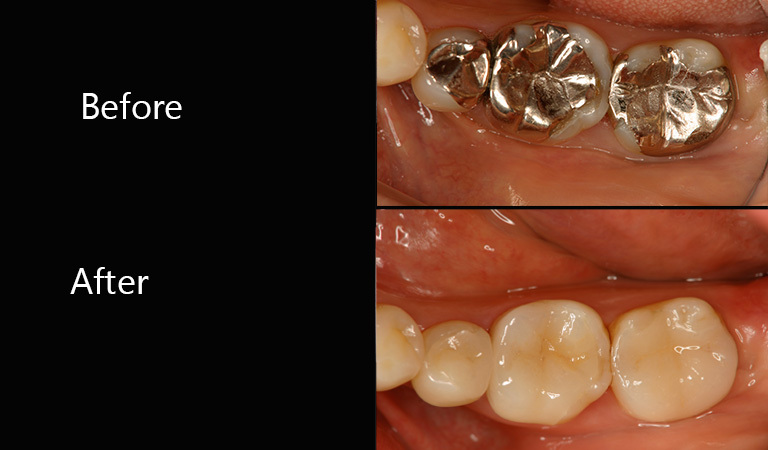 Types of crowns include porcelain bonded to metal, E-max, all zirconia, 3m lava, or an all metal restoration for situations requiring particular strength. Dental veneers involve placing a layer of material over a tooth to improve appearance and/or protect the surface from damage, they can be made from porcelain or composite. Our treatments using veneers range from a single tooth restoration (e.g. a damaged or discoloured tooth) to a full ‘smile makeover’ involving multiple teeth. Veneers are not suitable for everyone aspiring to improve their smile and your dentist will assess and advise you accordingly. Although they can give an improved colour and appearance with realistic feel, they often require removal of some healthy tooth structure and this cannot be reversed – a balanced perspective is required, and we will only provide this service where we feel it is in your best interests. For more information on crowns and veneers please click on the link below.